The earliest surviving Greek play, Persians represents the birth of Western drama. Based on a historical event—the Persians’ defeat by the Greeks in a great naval battle of 480 B.C.—Aeschylus’s tragedy is a gripping story of war’s human toll. In preparation for a new staging of Persians by SITI Company premiering at the Getty Villa’s Outdoor Classical Theater on September 4, I spoke to Anne Bogart, the company’s founder and co-artistic director, about her vision for this rarely produced work. Of the 32 surviving Greek tragedies, why Persians? Why now? We chose Persians because it is the very first extant tragedy in the western world. The play includes what may be the first dream sequence in European history, and perhaps the first theatrical appearance of a ghost. We were interested in excavating theatrical history to learn about the play’s genesis—nothing short of the birth of Greek tragedy—and then share what we’ve learned with audiences. Of the many translations that exist for this play, what was it about Aaron Poochigian’s that spoke to you? Aeschylus wrote Persians with an ear for the people of the fifth century B.C., so that they might hear and respond in living terms. Aaron Poochigian has, in turn, created a translation of Persians with an ear for actors and audiences of the 21st century A.D. 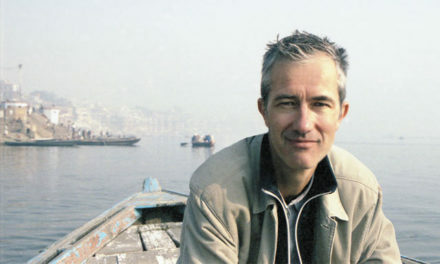 He is faithful to the distinctions between dialogue and choral meters, turning the spoken passages into blank verse and the sung passages into rhymed or off-rhymed verse. The act of reading his translation out loud feels both poetic and grounded. How are you making this production accessible to a contemporary audience? Our production will look modern and feel luscious. I imagine that the same elements of Persians that pleased Greek audiences in 472 B.C. will cast a similar spell on our contemporary audiences: song and dance, the magical appearance and disappearance of a ghost, the return of a beloved son, a slightly exotic aura surrounding the proceedings, and stellar performances by a professional company of passionate artists. How are you approaching the staging of this play, in which most of the lines are performed by a chorus? The Greeks had two terms to express what we mean by the word “life”: zoe and bios. Zoe expressed the life force common to all living beings, while bios embodied the form or way of living proper to an individual or group. Our production will celebrate the tension between decorum and order of the state (bios) and unrestrained animal magnetism (zoe). The staging will be at times formal and contained and at other times wild and representative of the unfettered human spirit. I first saw your work seven years ago at Humboldt State University in Northern California. It was Death and the Ploughman and I immediately thought, this is a company and a group of artists that should work with us. There’s something very Zen and stripped down about your staging that I find moving and engaging. Is this something you learned when you attended Tadashi Suzuki’s theater festival in Japan? Thank you for your kind words. Suzuki certainly had an influence on our work, but I also think that as one gets older, speaking and acting economically and with truth and simplicity becomes increasingly attractive. Tell us a bit about your aesthetic and how you feel it has evolved in the past 20 years. I was so happy to learn that the word “aesthetic” means sensation. The anesthetics administered for surgery take away sensation. The successful art experience widens the spectrum of possible sensations. I hope that our work has grown in its ability to generate differentiated sensations and that we have found an increasingly compelling and intimate relationship with audiences. In your early days of directing site-specific work, you staged a show in your own Brooklyn apartment, transporting audiences from Manhattan to Brooklyn by truck. You now direct at prestigious venues around the world. What do you hold on to from those very early days in your career? By staging productions site-specifically in my early career, I learned to use given architecture as set design. I was offered the opportunity to waltz spatially with buildings, landscapes, and seascapes. Now, when I find myself at a prestigious venue such as the Getty Villa, I’m able to recognize that I’m already working with a magnificent scenic design. I do not need to hide what is already present. This is the fourth collaboration we’ve had with you and SITI Company. 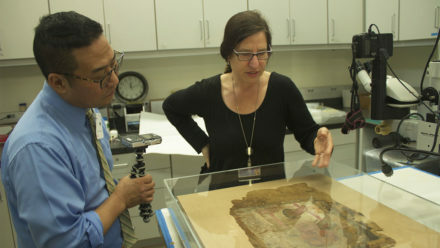 What have your experiences been working at the Getty? The Getty Villa offers what may be my favorite manner of realizing a play. At first we sit with curators and archeologists to excavate the written play and explore the circumstances of its original context. These scholars and specialists are passionate about the subject matter and deeply knowledgeable about every single aspect of our study. They provide insights that would be unobtainable elsewhere. We tour the Museum often, gazing at the ancient art to inspire the shapes into which we stage the written play. We are provided a quiet haven by the sea and we work in an atmosphere of respect, rigor, and concentration. The Villa staff is meticulous in every step of the process, ensuring that the rehearsals can run smoothly and that the company is happy and productive from the first day and all the way to the arrival of the audience. It is an experience of theater that is unique in the world, both for us and for the audience for whom we create our work. 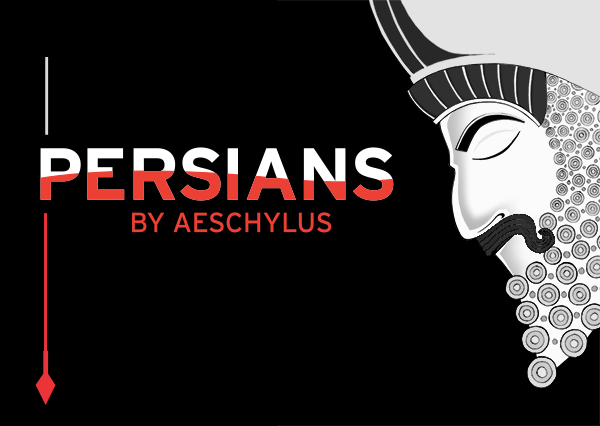 Aeschylus’s Persians premieres on September 4, 2014, at the Getty Villa. Tickets are available here. I manage theater programs at the Getty Villa, including Villa Theater Lab, the Villa Play-Reading Series, and the major production held each fall in the Outdoor Classical Theater. This will be my second Greek play at the Getty. Thank you so much for the museum experience and for this opportunity to experience Greek drama. 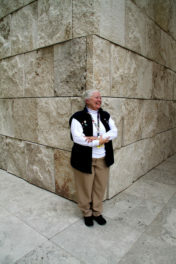 My first experience was very special–sitting outside, under the stars in the beautiful Getty setting. I look forward to another wonderful experience. Thank you for your dedication to producing the ancient Greek Tragedy scene in this century. Hello Terry! Thank you for your kind words and support of the Villa theatre productions. The Villa Outdoor Classical Theater does have rails and seating for those who cannot walk the steps if needed. The back row is reserved for those who cannot walk down the stairs to sit in the center aisles. If you need one of those seats, please let the house manager know when you come in. Thanks! It’s a disgrace that negative propaganda still continues to this date against the greatest civilization ever lived. Persians are creator of Human Rights, first of its kind in the human history, the constitution of US is based on Cyrus’s Human Rights Bill. Little you know of true history. Portraying Persian as barbaric is outrageous, you people have falsified the history beyond believe. You are a disgrace yourself, shame on you. This play provides a semblance of humanity towards both the Greeks and Persians. As an Iranian-American, I am looking forward to attending this play. Thanks for taking the time to comment. Persians is not being presented to insult Persian culture or history, which we recently celebrated at the Getty Villa through the exhibition The Cyrus Cylinder and Ancient Persia. Persians is a document to be viewed in the context of its time and reinterpreted in ours. The conflict between (some) ancient Greeks and Persians lasted many generations, and Persians was written during a time of war by a playwright who probably personally took part in several battles. Aeschylus is clearly writing from a Greek perspective, but most scholars today think his intent was to show how devastating war always is, for all sides. 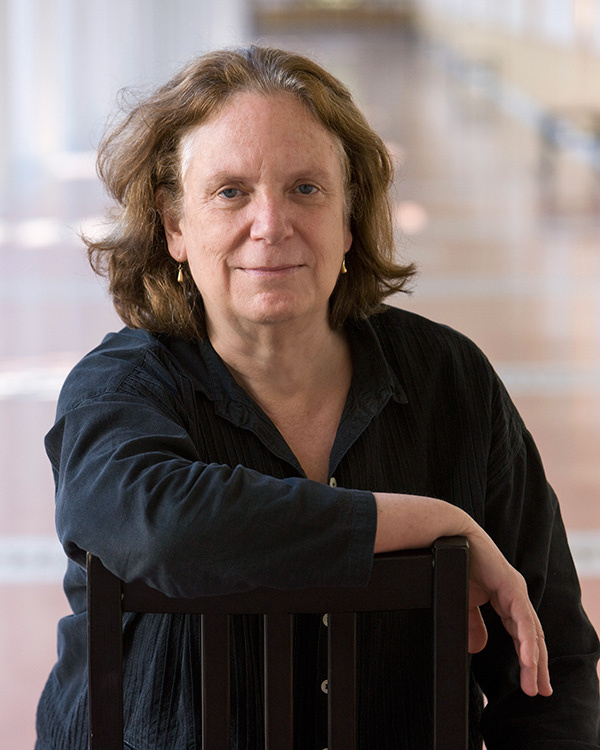 Those with an interest in the depiction of Persian and Greek culture in the play may be interested in Rebecca Kennedy’s talk on September 13, which will examine how the audience for Persians when it was first performed in 472 B.C.—an audience made up of many different types of people, including foreign dignitaries—might have responded to the piece. I think you should at least go see the play before judging it. Why would you ever want to censor a production if you’re living in LA and enjoying freedom of expression, a right that is denied Persians in our homeland, which indeed was once a great civilization? Cyrus would have not appreciated your sense of indignation. That is not the meaning of the thoughts he inscribed on that famous cylinder that was exhibited at the Getty with great dignity. Very interested to attend the play. Could you please comment on whether kids are allowed to attend this production? Also Parental Guidance if any? Thank you! We’re thrilled that you’re interested in attending. This production is not suitable for infants and young children. The play is dense in terms of language, and while it is beautiful, it is 90 minutes with no intermission which might challenge younger children to remain attentive. I have plans to see this play this week. I am just wondering that out of all the GLORY of the Persian Empire and it’s galvanized history, why did Ms. Bogart decide to choose an ERA in which Persians are defeated and perhaps demonized as one other commentator mentioned earlier ?? I think the movie “300” did that job well enough. We ((Persians)) were the first civilized Empire and prior to the ARAB/ISLAM spawning our land, we were pivots of the universe. I can only hope that this play does not resemble “300” in any way or shape. Thank you, SEAN GOLSHANI, ESQ. The Getty Villa is my favorite place to visit. I come regularly to Southern California and my trips take me primarily to plays and art mueums and my favorite place to visit is The Getty Villa where on display some of the earliest works of the Greeks who first drew and sculpted the most accurate painting and sculpture of the human body in history. The figures of the ideal of human expression in their being. I should have added in my earlier comment that my partner and I plant to see “The Persians” this September.